Almond is the ninth colour to be added to the Avant range, sitting in the palette between alabaster and ivory. This kitchen uses an extra thick quartz worktop complemented with an undermounted sink to maintain the clean lines as well as making spillages easy to wipe away without the risk of trapping any dirt in joints. 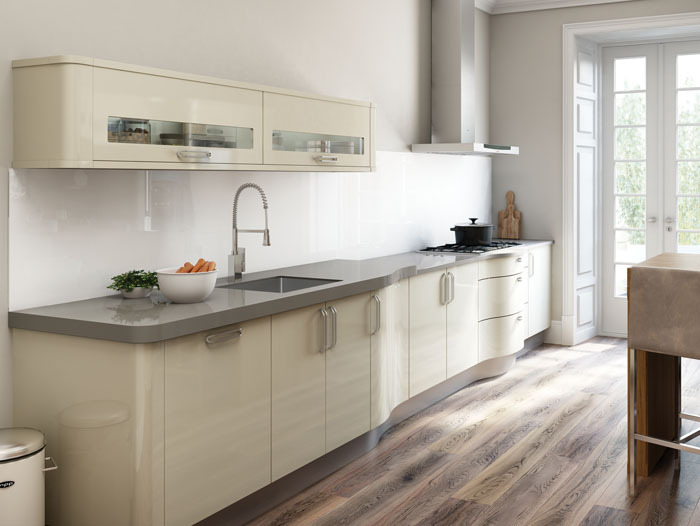 The wide glazed doors offer ample storage and the curved s-shaped doors combine a touch of style with practicality.